Wellness cropped up as a new term about 35 years ago. Suddenly books and clinics began to appear with the word ‘wellness’ in their titles and logos. Most were directed toward individual wellness. Today, individuals cannot experience wellness without the help of fellow citizens. We realize that we must pull together as communities to satisfy food, water, energy and education requirements that generate wellness. Farming communities have known this interdependence since settlers first came to this country. There was usually someone who was a natural midwife, or animal husbandman. Settlements made their own music, spawned poets and writers, barrel makers, knitters, shopkeepers, mechanics, boat builders, teachers, clergy, artists, builders, potters, silversmiths, printers, doctors, lawyers, servants, farmers. There was much bartering of skills and talents and the recognition that people depended on each other. There were many blunders as people found their way. There were unanticipated natural events that continue today in the form of fires, floods, hurricanes, harsh weather, cold weather in the north and bugs in the south. Life is an adventure and the more opportunities we have to move around and live in different states and countries with people of different economic and social standing, different cultures and religions, the more it becomes clear that as the world grows smaller, the need for us to understand each other and deal with basic human needs, the better our chances are for healthy survival much less satisfying work. After many years as a health care practitioner, I decided to put my own intellectual journey into practice. For years I experimented with various diets, marked most often by frustration at the futility of so many seemingly perfect diet plans. 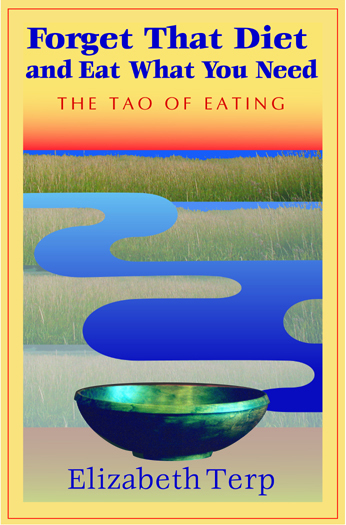 To humor myself along, I began to write The Tao of Eating, bringing the larger message of the Tao Te Ching (Book of the Way) into sharper focus with food. In the process, I began to notice a difference in my general sense of well-being. Relief came in knowing that there is no one right way to eat; all that is needed is a reminder to stay attuned to the Way by noticing all ways as they arise, and honoring the ways that work. I draw on my graduate studies in Eastern Philosophy at the Himalayan International Institute, my Yoga practice, and my continuing use of the Tao Te Ching as a guide and stabilizer. 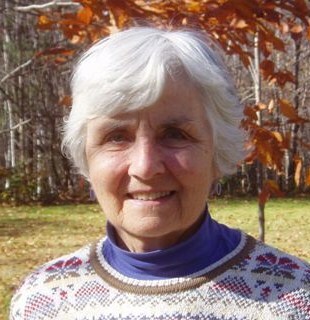 I now live in Northern New Hampshire where my, “Keeping Each Other Well”, column appears in New Hampshire newspapers. I’m going through a spell of purging things from my office. One was the newspaper page with your “Demystify cravings and claim freedom” column in THE CITIZEN OF LACONIA, MR 15-10. That led me to discover many of your columns preserved on the Internet, to also be copied into my computer. I’m conking out after going back to JE 2010. Please keep up your very sensible and continuously updated advice! Thanks for your feedback. I’m glad you find my column useful. Keep your comments coming! I thought this story may be interest to you and your readers. Thanks, Jeff, for the news of a great dental service available to folks in the NH North Country. Hopefully, readers will pass the story along to others. Thanks, Annarose. My book is available on Amazon.com and in some libraries. If you live in NH or MA, you can also get it on InterLibraryLoan.